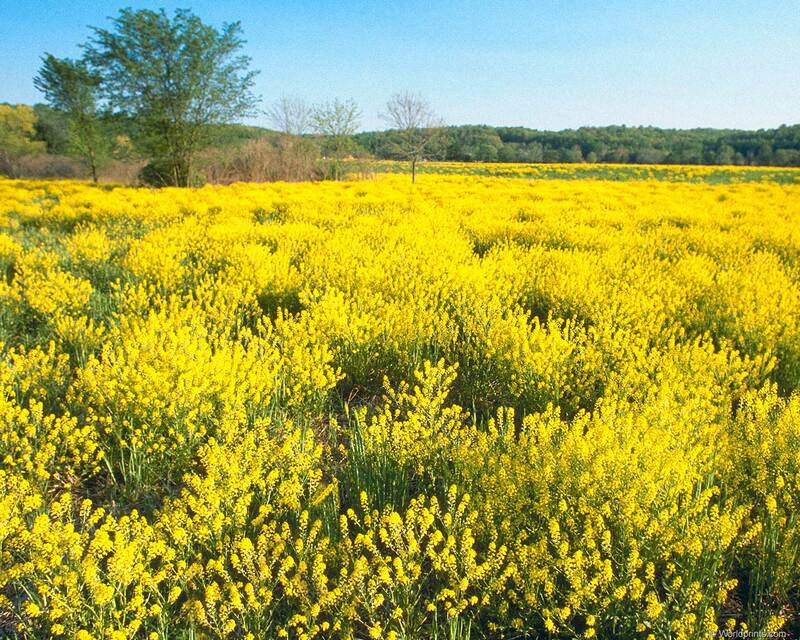 General Description: Scotch broom is a perennial, many-branched, shrub ranging in height from 3 to 10 feet tall. Flower Description: Flowers are typical of those in the pea family. They are bright yellow, about 3/4 inches long and have 5 petals. Leaf Description: There are few leaves. The upper are simple and the lower are 3 parted. They are deciduous and pointed at both ends. Leaves may fall early in the year, leaving bare green stems. Stem Description: Stems are woody and dark green. Young branches have 5 green ridges with hairs. When mature, stems become glabrous and ridges disappear. Young stems remain green throughout the year. Fruit/Seed Description: Seed pods are brown-black, legume-like, flattened and have hairy margins with several seeds per pod. It displaces native and beneficial plants, causing loss of grassland and open forest. It aggressively spreads to form monocultures, replacing desirable forage grasses and young trees. Seeds are toxic to livestock and horses.